Samsung has just announced the new Galaxy A9 smartphone that comes with not one, two or three…but four cameras! Well, five if you include the front camera too. 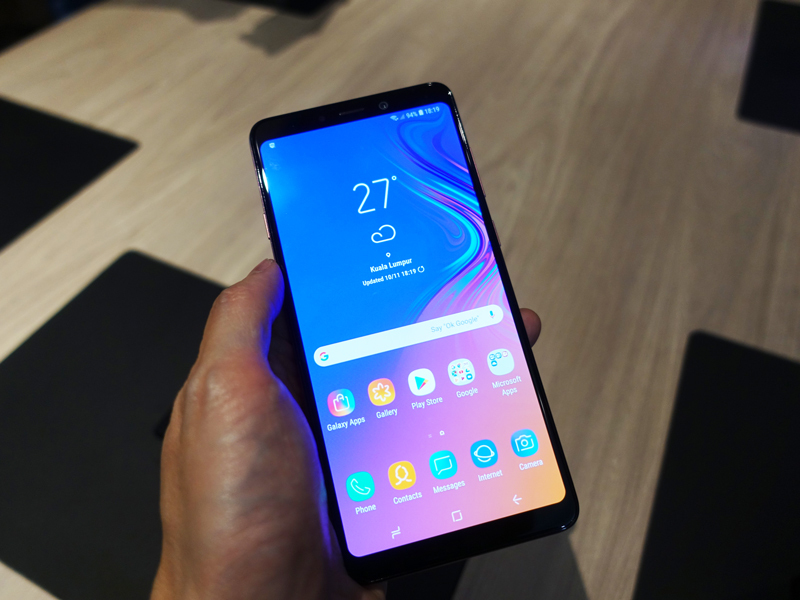 The Galaxy A9 is part of a new strategy of Samsung, where it hoped that new and innovative features on its mid-range smartphones will make it more appealing to a younger audience and in the developing markets, who may feel priced out of flagship models such as the company's own top-tier S and Note series. Expectedly, each of the four rear cameras does something different. The first is the main 24-megapixel f/1.7 camera, followed by an 8-megapixel f/2.4 ultra-wide 120-degree camera for group or landscape shots. The third camera is a 10-megapixel f/2.4 telephoto with 2x optical zoom, and the fourth and last is a 5-megapixel f/2.2 camera that enables depth-of-field effects, and lets you adjust your background blur in real time. In low-light conditions, the Galaxy A9 uses the main camera and combines four pixels into one for clearer images. Oh, and there's an equally impressive 24-megapixel front-facing camera that will certainly satisfy demanding selfie queens and kings. According to Samsung, the A9 is a phone "optimized for the Instagram generation," and it does look like the company has put some genuine thought to, as mentioned earlier, make the phone economically attractive to this target demographic. For instance, the Snapdragon 660 processor isn't the fastest around, but together with the 6GB of RAM it will still get most basic functions done for a mid-range phone. There's 128GB of internal storage and with microSD support for up to 512GB, is more than enough for your selfies, downloaded Spotify music files and whatnot. The A9 also has a 3.5mm headphone jack and a fingerprint scanner at the back. The screen is a 6.3-inch Super AMOLED Full HD+ panel, with a respectable resolution of 2220x1080. There's also fast charging, courtesy of the 3,800mAh battery. It's shiny on the outside too - quite literally. 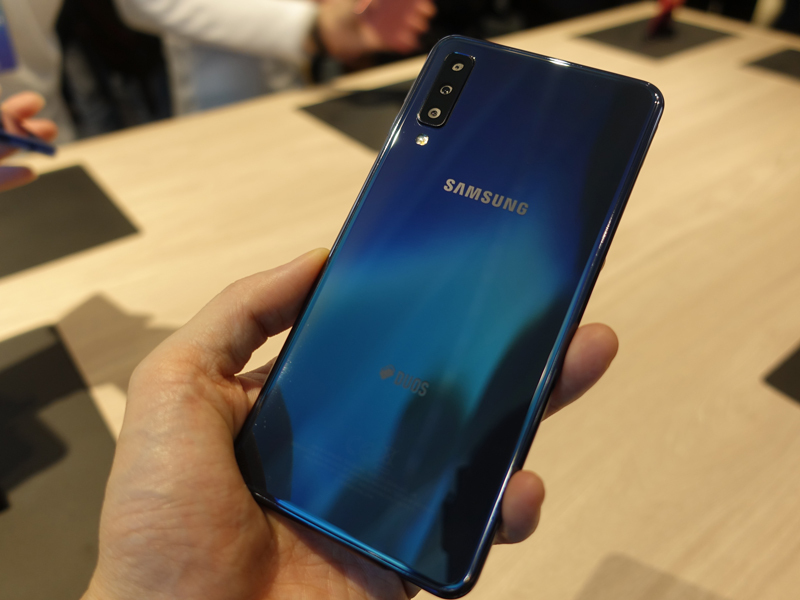 Like the shimmery gradients seen on phones like the Huawei P20 or Oppo Find X, the Galaxy A9 comes with a choice of three fanciful-sounding colours - Caviar Black, Lemonade Blue and Bubblegum Pink. I suspect the Bubblegum Pink will be a popular choice for many ladies. 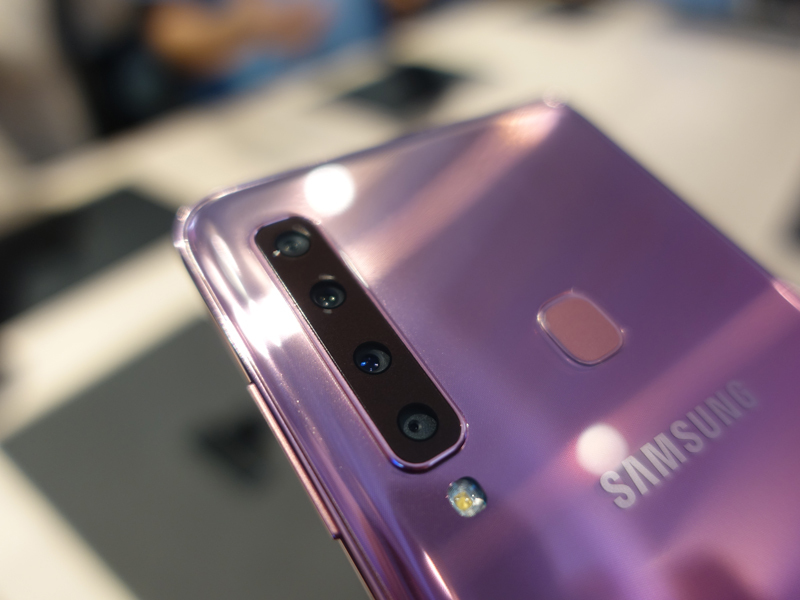 All of the above, and especially its eye-catching array of cameras, should make the Galaxy A9 attractive to the mid-range crowd. But having more cameras don't necessarily makes for a good experience, and the jury is still out on the A9's camera performance until we get our hands on a review set - even if early impressions I had at the reveal event was very good. No pricing was announced for Singapore and the region, but European countries will be selling it for €599 or £549 in the UK. As a calculated guess-timate, the Galaxy A9 could cost somewhere between S$949-S$999 locally and that is fairly expensive for a mid-range, albeit a high-tech, phone. If price is a concern, there's the alternative and presumably cheaper (we are still waiting for the local SRP from Samsung) Galaxy A7 announced a little while back. It's just a tad smaller, has two more colour options, and comes with some internal compromises. Notably, there's no 10-megapixel telephoto camera, but its three cameras are the same as the A9's otherwise.